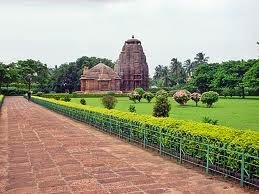 Here is Some Information about Rajarani Temple in Bhubaneshwar Orissa India. ENTRY FEE for each Indian citizen is Rs. 5.00, foreign visitor has to pay Rs. 100.00/ $ 2.00 each while children below the age of 15 years are not charged any entry fee. The Rajarani Temple is located in Bhuvneshwar city.This temple is Dedicated to Lord Bhrahma. It was built between the 10th and 11th century from reddish gold sandstone known as Rajarani from the local parlance. The Rajarani temple is the epitome of elegance and grace. The sculptural images adorning its façade through the temple and interiors are simply outstanding. The females are portrayed in different postures which are like holding the child in their arms, holding mirror in their hand, etc. 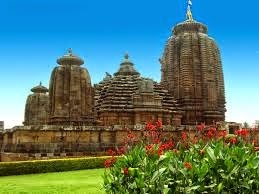 There is no other temple of this kind in the entire state of Orissa and is very unique. 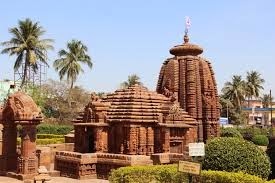 Rajarani temple has also been ornamented with marvelous and magnificent artistic sculptural carvings and stands enclosed within a beautiful garden.The temple is set amidst the swaying paddy fields and which is surrounded by blooming flowers in Old Bhubaneswar. The Rajarani Temple is seen as a step forward from the changes introduced in the construction of the small but elegant Mukteswara Temple. The Rajarani takes its name from the local sandstone used to built it. The temple no longer has an image of the deity in the sanctuary but its strong Saiva associations are testified from the figures of Shiva and his consort Parvati on the platform and Saiva doorkeepers. The temple has panchanga bada or five divisions’ viz., pabhaga, talajangha, bandhana, uparajangha and baranda. The lowermost division is called pabhaga having five decorative mouldings namely, khura, kumbha, patta, kani and basanta. The superstructure (gandi) of the temple is distinguished by number of miniature turrets (angasikharas). The composite form of the temple with clustering of such miniature turrets, multiple recesses and angles make the edifice circular in appearance. Above the superstructure is crowned with a fluted disc shaped architectural members called amalaka. A vase (kalasa) surmounts the amalaka as the crowning finial. The monument remains open from sunrise to sunset. Entry fee for each Indian citizen is Rs. 5.00, foreign visitor has to pay Rs. 100.00/ $ 2.00 each while children below the age of 15 years are not charged any entry fee. 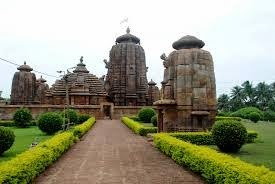 By Road: The best way to get from Bhubaneswar to Puri is on one of the Canter minibuses that leave from the old bus station in the center of town and even there are buses available from the new bus stand. There is a direct bus to Konark too. One can also traval from Puri buses to Pipli and from there get another bus to Konark. By Rail: The Nearest Railway Station is Bhubaneshwar Junction. By Air: There are regular Indian Airlines flights moving to Hyderabad, Nagpur, Kolkata, Delhi, Varanasi, Mumbai and Chennai. The airport here is very close to town.